Kelli Nina Perkins: THANK YOU! You know who you are. All of you who have purchased Stitch Alchemy and all of you who have posted projects, reviews and comments or written to me directly. 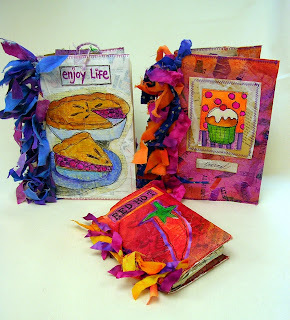 The book is ranked #1 in sewing, #1 in papercrafts and #1 in needlework on Amazon. Everyone over to my house for an icecream party!!!!! You deserve it. My heartfelt thanks for the wonderful reception. I am so honored. Congratulations! Well deserved too. Wow, that is quite an accomplishment on Amazon. Glad I helped attain this by purchasing your book. I love it, thanks for writing it. Yes, it's a fabulous book and I just love your art! Congrats! I look forward to getting this book! Congrats! Fab book and Fab Artist! Just posting my blog now and came to link your blog. Will be right over for the ice cream! :) Congratulations! Hi Kelli! I realize I'm a little late to the party, but I just bought your book and like everyone else, I absolutely love it! I have been reading it daily and have been cover to cover several times. My first attempts with paper cloth turned out fabulous and now I am hooked! Keep up the good work. Hi Kelli Keep the icecream in the freezer until I get there. I just ordered your book. I kept saying NO to myself. You can resist the temptation. But.....the devil made me do it. I can't wait until it arrives.